The connection between Florence, textile art and fashion started in the Middle Ages and evidence is still to be found in many places: from the works displayed in museums to the know-how of craftsmen, still able to bond creativity and tradition. 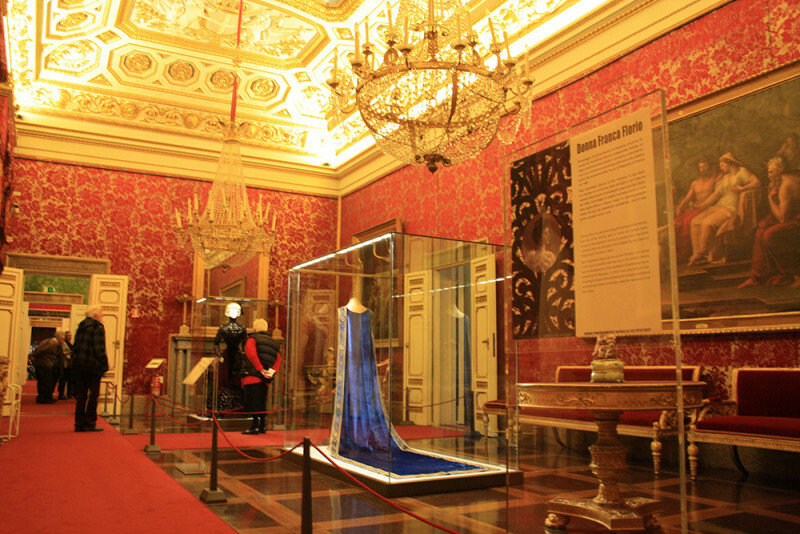 Florence can boast one of the first and most comprehensive historical collection of Italian fashion at the Costume Gallery, hosted inside the Pitti Palace. The display offers a complete survey of the evolution of costume and fashion from the 18th century to the present day, thanks to donations by celebrated designers, private collectors and theatres. Our fashion itinerary will continue at the Ferragamo museum, to discover the story of the ‘shoemaker who conquered Hollywood’ and created almost all the shoe types we wear: flats, platforms or heels. As an alternative we can opt for the Gucci museum, where the evolution of a small leather shop – from suitcases and bags to catwalks and luxury cars – comes to life, or we plunge in the complex and refined designs and bursts of color of the sculpture dresses by Roberto Capucci, to be admired, along with his sketches, at the stunning location of Villa Bardini. Upon request it is possible to arrange visits to ateliers and workshops where the same combination of skills and artistry keeps tradition alive.